Renting a storage unit for home staging purposes is both advised and incredibly beneficial to the property sales process. Storing personal items away for the upcoming move is a great way to declutter any residence and also gives the seller a head-start on their packing, in preparation for a speedy sale. Renting storage space is inexpensive and is a great investment towards any staging effort. The vast majority of property sellers have way too many possessions to comfortably and aesthetically fit into a perfectly-staged house or apartment. Therefore, storage units provide a temporary home for these items, allowing the residence to be enhanced with universal buyer appeal in mind. This article guides property sellers on the path to achieving idyllic real estate staging by utilizing the often overlooked idea of renting a storage unit. We will detail the costs of storage rental, as well as provide guidelines to make the most of this financial investment. Having a cluttered home is a sure way to turn-off prospective buyers. Clutter makes any house or apartment look smaller and less appealing than it truly is. Clutter also interferes with a buyer’s ability to actually see the property. Instead, they are forced to visually contend with the seller’s various possessions. Buyers want to view your home, not your stuff. This is a fundamental truth embraced by home staging in all its forms. 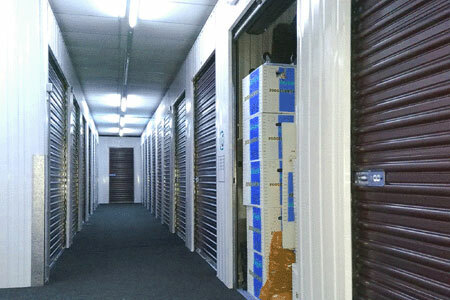 Renting storage allows sellers to move the majority of their personal items to an offsite facility. This frees up so much space in the home, which can now be utilized to create a beautiful and open floorplan. Renting storage allows a seller to keep everything that they hold dear, while not having to display these items during the sales process. Nothing must be discarded in order to achieve a perfect property aesthetic. Best of all, everyone knows that moving is a terrible ordeal, filled with a vast amount of work. By packing up and storing the majority of personal items in advance, sellers will distribute this difficult task over time, making the final packing and moving far easier on any family. Storage is one of the best investments during home staging. Most units can be rented for under $100 a month and many units can be had for a third of this cost, in some real estate markets. Better still, most large rental unit companies offer incentives for new customers. Some companies offer free use of a truck to make the move. Others offer a free month or two with any new rental. A few companies offer extended supplementary insurance coverage free of charge. If you are really lucky, you might just qualify to receive all of these free gifts when selecting a storage unit. Since most professionally staged houses sell quickly, there is no reason to think that you will have to pay month after month for the storage unit. In fact, many homes sell so fast, that the unit is used for less than a single month. Packing up personal items and moving them to storage should be the very first thing you do when you are getting ready to sell a home. Do this before staging the house and before listing it with a real estate agent. Choose a storage location that will be convenient for you. Many families do well by carefully packing their possessions and moving a few boxes at a time to storage. This way, the process is comprehensive, but does not interfere with life and a busy schedule. If this is not possible, then packing everything at once and transporting it to storage is still a great idea. This way, the job is finished quickly and the staging efforts can begin in earnest. Shop around for the best deals on storage. Do not be afraid to negotiate or tell a company what their competition is offering. This is a great way to land the best price for storage services. Busy and wealthy buyers might want to consider hiring a professional mover to pack their possessions and transfer these items into storage. In this case, a rental unit can still be utilized, but in many circumstances, storage may be provided by the mover for a discounted rate. Many logistics companies will offer this deal in order to secure the upcoming full move to your new home, once the present property is sold. Storage units help the staging process tremendously. Remember that the overwhelming majority of sellers must rid their homes of furnishings, rather than get more furnishings, in order to perfect their staging designs. Items to be moved include anything and everything that is still wanted, but is not needed for inclusion in the staging plan or necessary for everyday life. Some of my recommendations to be moved to dedicated storage include any type of collections, off season clothing, overly-numerous personal items and nick-knacks, sports equipment, additional automobiles, unneeded furniture, tools, books and kid’s toys.